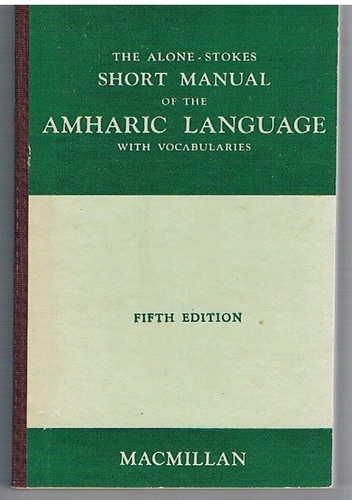 The Alone-Stokes Short Manual of the Amharic Language with Vocabularies. Home » The Alone-Stokes Short Manual of the Amharic Language with Vocabularies. ALONE, J. P. H. M., STOKES, D.E. Cloth-backed paper covered printed boards in white and green, 204pp with two folding tables. A very nice bright copy. Clean and tight. Appears unused. ; First published in 1909 by Major J. P. H. M. Alone and later updated by D. E. Stokes. 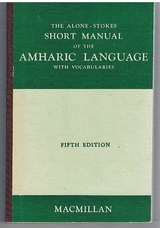 5th Edition, revised and enlarged.